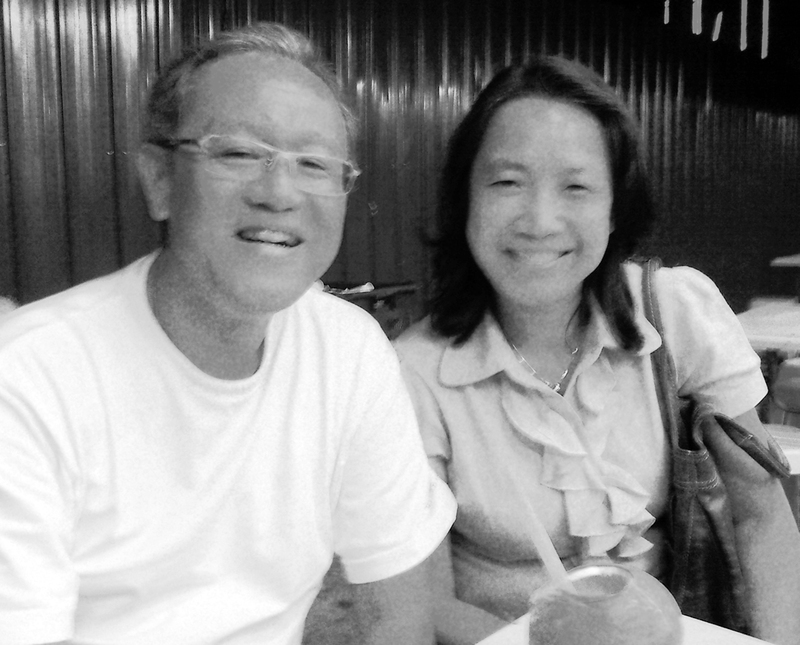 On Thursday, my wife joined me and we were brought by two couples Alex and Karen, and Leonard and Carmen to a seafood joint near Sungei Way Methodist Church. Aileen Lee was with us. We had our fill of crabs and prawn and shellfish. We enjoyed the meal and the fellowship. After all I have been having a lot of Indian food and chicken rice before that. We shared about how each husband proposed to their wives, and the most romantic was the one done at Eiffel’s Tower. How to top that? Only one thing can top that: a durian feast. Off we went to SS2. 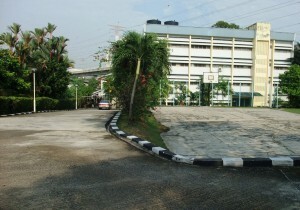 In Petaling Jaya, there are all these section this, and section that, to identify locations. Why is it SS and not just S, nobody knows. Maybe it’s sub-section for SS. 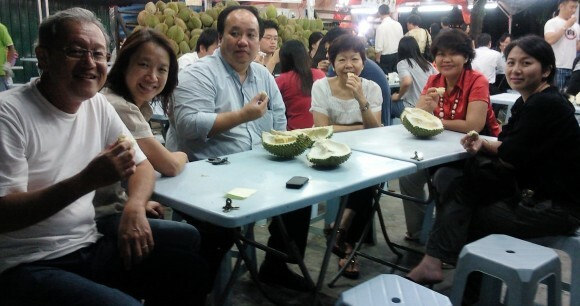 Anyway the durian feast was great: firstfruits of the season. 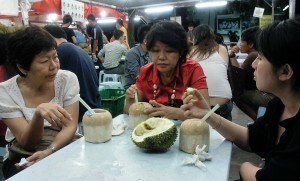 In a few weeks, we will see a tsunami of durians in Singapore. Maybe by May the seventh, to celebrate a new merdeka. Like the wedding at Cana, we started with the low grade(XO) – yes, I was surprised too! – to higher grade, Jantan – to even higher grade, Kunyit. Why these names when they could name their fruit after their Prime Ministers? Like, have you tried the Mahathir? Hmmm, bitter sweet? Anyway, we could not continue so we rolled over into the car and left. 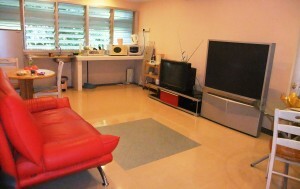 Next time, we’ll go for maotsetong. On Friday night, and Saturday we attended a healing seminar by Roger Sapp and his sidekick from Texas. He taught us how we can appropriate healing because of the finished work of Jesus on the cross. He’s been doing this for decades. He trained us in praying for the sick in a relaxed way, and to be patient and persistent in our faith. Watching him work at close quarters was enlightening and he was spouting out knowledge and tips while he prayed for different individuals. Like a live demonstration. 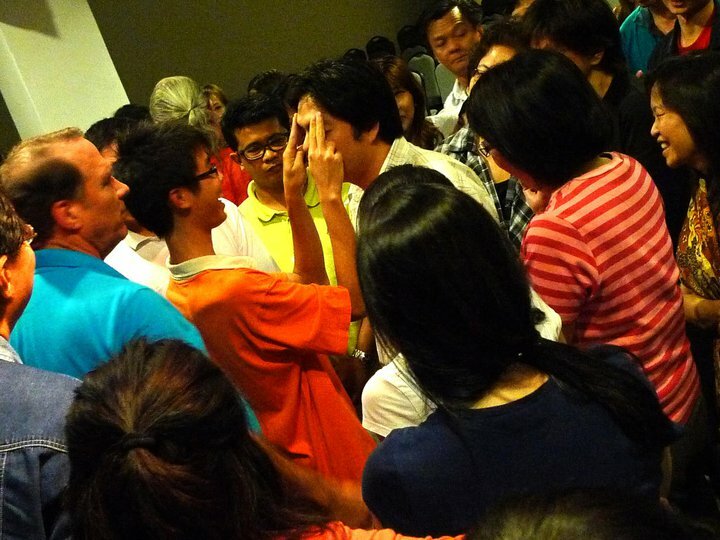 Pain and aches and healings from restricted movements were the easiest to observe and to be encouraged about. Others were less obvious and waits to be manifested and proven. It was also a red lettered day for me at the seminar as I received from Kung a 180-G external hard disk of messages of different gospel preachers like Andrew Wommack, Paul White, tNCC preachers, etc. Well it looks like the Lord has a spiritual program arranged for my sabbatical. 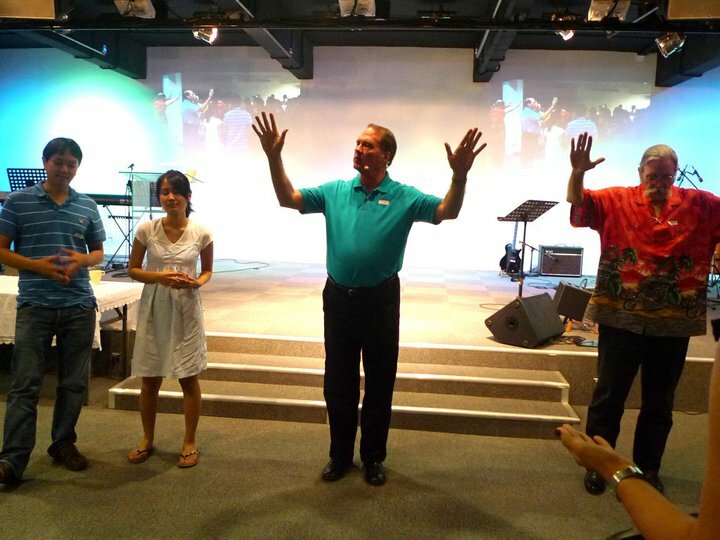 On Sunday, a brother by the name of Teoh, picked my wife and I from the Bible College of Malaysia and brought us to the River of Life Sanctuary, a church founded by Pastor Ang Siew Khim and her husband, Ang Chui Cheng. They ministered with great impact in a few of our church meetings and camps in the area of inner healing and deliverance and prophecy. 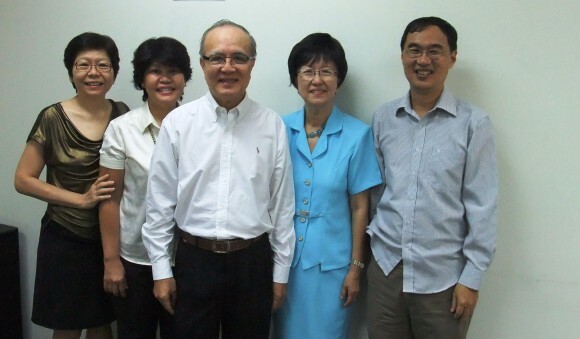 We were blessed by Mrs Ang’s ministry, but have been out of contact for over a decade. 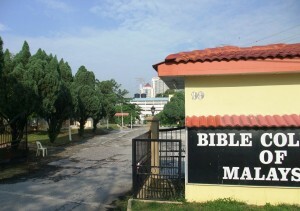 Since I was in Petaling Jaya, I felt compelled to visit, and was glad I did. They are both in their seventies and looked healthy and well. They were slower but the grace of God was evident on them. She hardly aged and I told her so. 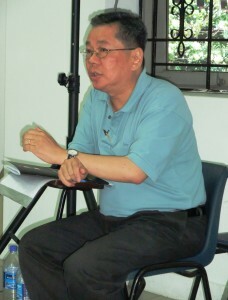 Pastor Ang Chui Cheng led in worship. They say he was a great worship leader in Full Gospel Assembly, KL, during their revival days, and as he led us, I could see why. It was one of those “oldies” kind of worship, where you could sing every song, because most were songs from the last two decades. The age group of the majority seems to be in their mid-40’s, 50’s and 60’s, so I am sure there were no complaints, and I could hear people around me singing. Quite enjoyable. The guest speaker was Christina Ang, an Indian lady married to Dr Paul Ang, and she preached a message titled, Launch Out Into the Deep. Want to use my net, Lord. Want to use my net. Pastor Ang told me that the church did quite a bit of work with illegal migrants from Myanmar. They in fact offered their church premises as a UN refugees registration center and about 3,000 Myanmese without papers signed up over a short period. Many of the children of these refugees form the bulk of their children ministry. 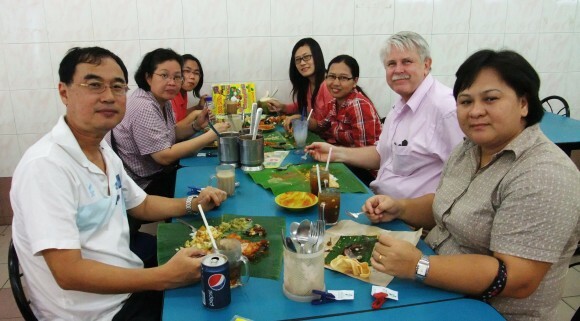 After the service, we were served lunch, and we met a Datuk Paul Low, who is the President of Transparency International, Malaysia. It struck me that the political and economic malaise that is Malaysia has given rise to Christians who are unafraid to speak out in the public square. Transparency International publishes an annual corruption index based on polls of significant organization executives. Each nation is put on a scale of 1 to 10, 10 being the least corrupt. For the last two years Malaysia has been hovering between 4 and 5. Singapore is about 9. 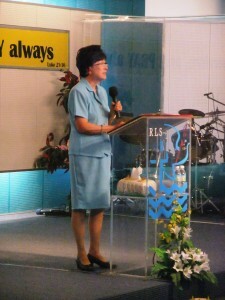 Aileen Lee was in church with us. 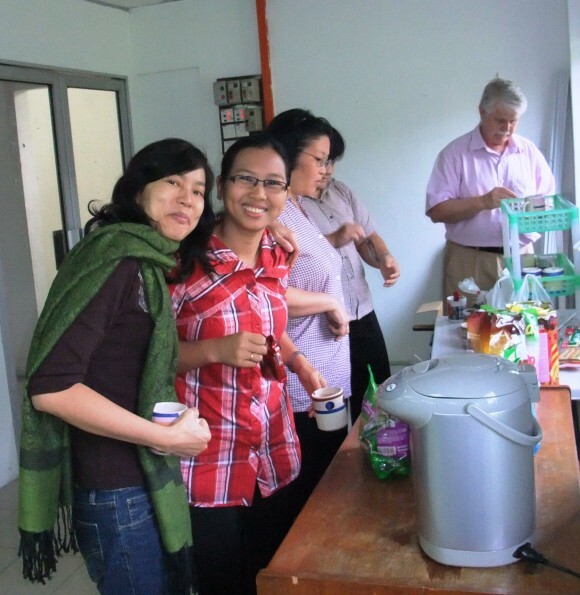 She was from our church in Singapore but now lived and worked in Petaling Jaya. She drove us around and was a gracious host to us. She brought us to her home and my wife and I relaxed in a hydrotherapy tub(stop imagining things, will ya). In the evening we met with Christine her daughter whom we had not seen for many years. 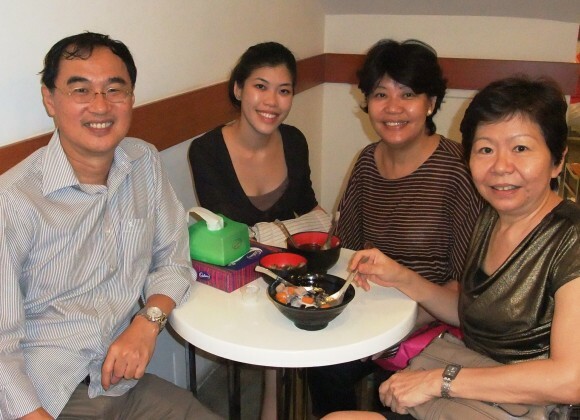 This law graduate from the University of Manchester, had decided to turn down an offer to work in a legal department of a firm in Singapore, and to work in Malaysia, with the goal of starting her own business one day. 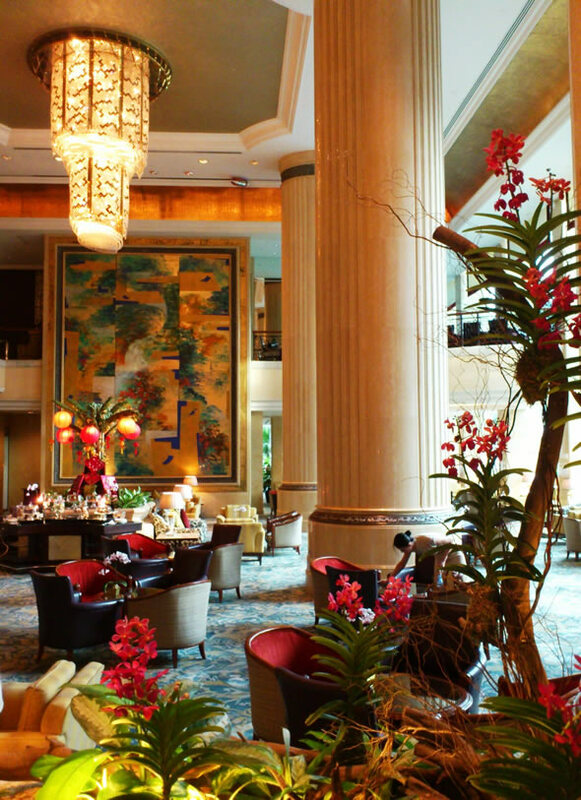 It seems to climb the corporate ladder, Malaysians prefer Singapore. But to do business, Kuala Lumpur is preferred. 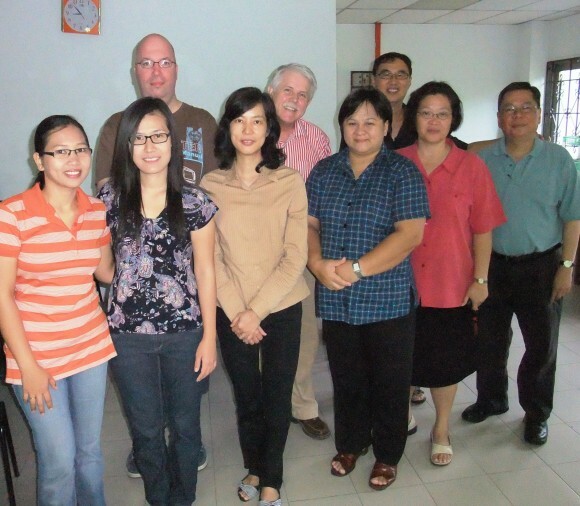 She has matured, and she has a goal, and she attends SIB KL – I was happy to see both their stability. We had been spoilt with wonderful restaurant food by our tNCC hosts, so this time round they treated us to a coffee shop spread near their home. 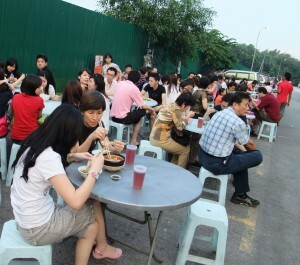 It looked popular with all the tables and chairs on the streets in the open air, crowded with people even before dark. 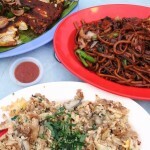 Was I hungry or was the food just plain tastier than Singapore fare?, I wondered. Sedap. To cool down and stand on the edge of gluttony cliff, we had Taiwanese iced desserts. This would be the second time I had felt bloated and rounded as I laid my head to rest that night. 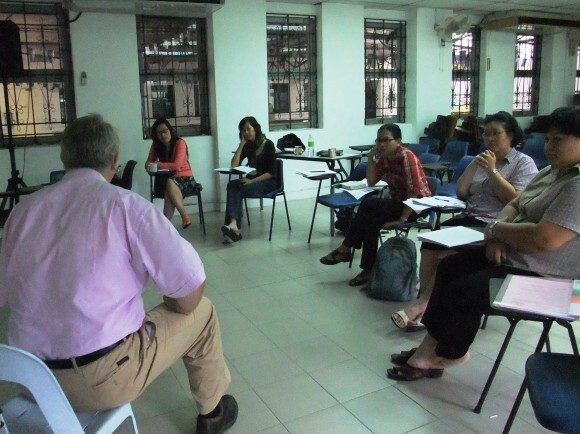 The 5th module of the AGST MTh(Ed) program was held at the Bible College of Malaysia. 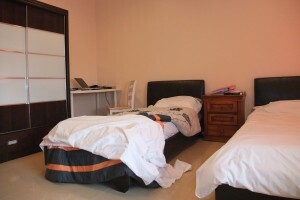 Finding my way there from Bangsar station was simple and it was a treat to have a comfortable and spacious apartment all to myself. Pastor Benedict Muthusamy, my good friend was supposed to be my roomate, but he withdrew from the course at the last moment, and I was left all alone but I was not complaining. The solitude was strangely pleasant. The college was having a trimester break so it was quiet and we had to eat out for all our meals. 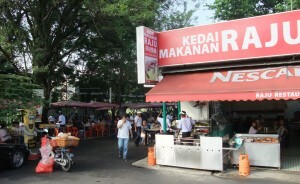 Turn right and walk for 10 minutes and you have a row of shops with the famous Raju restaurant. 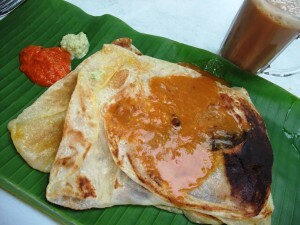 Several meals, both breakfasts of roti chanai and thosai, as well as banana leaf lunches and dinner were had here as well as at Kanna Curry which was nearer, just a 3 minutes walk to the left of the college entrance. No more Indian food for me for a few months. 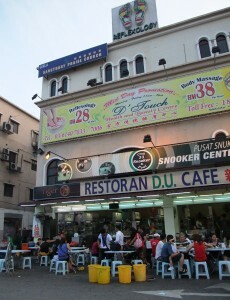 Another famous restaurant was the Ipoh Ngah Chai Chicken, and its neighbour coffeeshop which sold exactly the same stuff but cheaper.No more chicken rice for me in the next few months. After a week, I felt great empathy for the grumbling Israelites wandering in the wilderness for 40 years on a highly restricted menu. 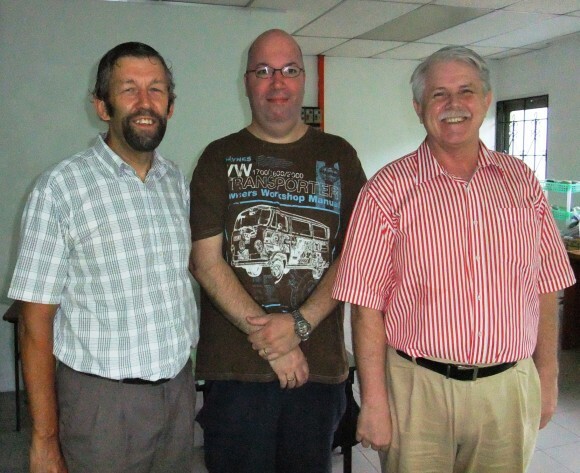 It was an enriching learning experience for me as the lecturer Dr Perry Shaw guided us through a wealth of materials to equip us in “Building formative faith communities”. 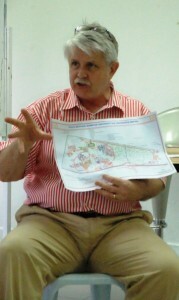 Arthur Brown began with a theological basis for community rooted in the Trinity. From that theological base, Dr Perry Shaw continued to build an understanding of the self; group dynamics; hidden curriculum; form and meaning; understanding church culture and its interaction with the community; and the dynamics of change. The unfamiliar material which employs tools from social sciences, social psychology, and anthropology was challenging but fresh. It gave us an introduction to tools by which new insights and perspectives could be gained when we intentionally build faith communities. It was lovely to see the same batch of students and to renew acquaintances with them. 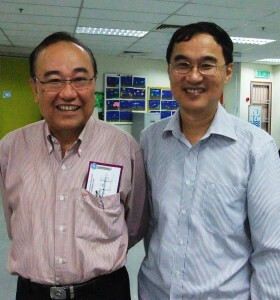 In addition, I met an old classmate of Tung Ling Bible School, a short term training I did in 1979. 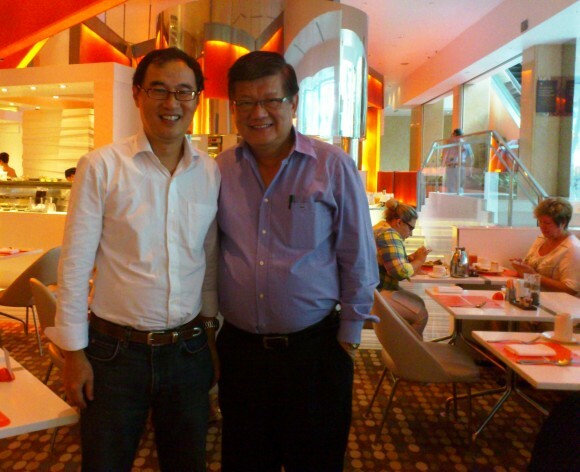 His name was Derrick Chong. It was such a pleasure to catch up with him.